Alipay and Wechat Pay are the largest payment provider companies in China at the moment. And being the largest at something in China is a guaranteed billion dollar business. Well in these companies’ cases, their multibillion-dollar companies. They have recently been featured in the news, where they very clearly request Huobi (a cryptocurrency exchange) to remove their payment services from their over-the-counter trading. You may know Alipay or WeChat pay from some of the Chinese online stores you shop at, but you may not know that they are quite hard to get a partnership with, while it is so very crucial to have one, in order to fully tap into the Chinese market. Huobi, whose headquarters is in Singapore, had these two companies featured on their website as a means to make payments for services. It turned out that neither of these two payment giants had authorized the partnership, thus the demand to remove their brand from the platform. A similar predicament was seen not too long ago with UproFX when they were featuring Visa partnership when the case was completely different. Luckily the issue was quickly resolved, but it remains to be seen what Huobi will do. Huobi repsonded to these allegations of illegally using the companies’ logos by saying that there was no showcasing of a partnership. In fact, the case was that they were just showing the customer that the transaction with these methods was available. In order for Huobi to use Alipay’s and WeChat Pay’s services, no formal partnership was required as the transactions on the platform are peer-to-peer. 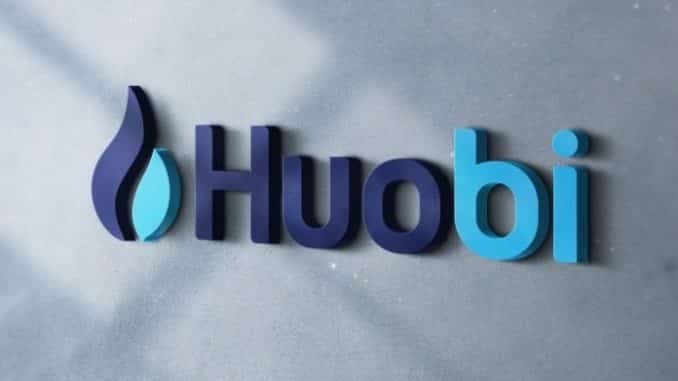 What Huobi customers do is they upload QR codes in order to facilitate the trading activity, something that has been proven quite handy in the recent months. This type of attitude towards cryptocurrencies was not a first case from these Chinese payment giants as last year in August, Alipay completely restricted any type of transaction form an account that had something to do with previous crypto over-the-counter payments. Same goes for WeChat Pay as they had banned multiple accounts on suspicions that they were using cryptocurrency transactions in order to publish ICOs. It is no secret that China very quickly became hostile towards cryptocurrencies and crypto companies were caught in the crossfire. Huobi was initially stationed in the mainland but had to flee somewhere nearby and established itself in Singapore. As of now they have expanded in multiple countries such as Russia and are tightening their grip over the Asian market. But nowhere have they seen such opposition to their business as in China and its companies. Hopefully, the tensions will die down soon enough as everything is inevitably brought to light. But it is safe to say that once a giant company has you under its gaze, it’s not going to let off easy.